Fall is the time to spruce up your Southern Arizona landscape | Sonoran Gardens, Inc.
It’s a great time for a landscape spruce up! Summer’s heat is beginning to subside, and plants are awakening from their summer dormancy. They want to grow and bloom! Replace those plants that may have been burned over the last couple months. These cooler evenings mean great weather for outdoor living. So, liven your landscape now and enjoy it all winter long! Perfect weather for morning coffee in your custom outdoor living space! 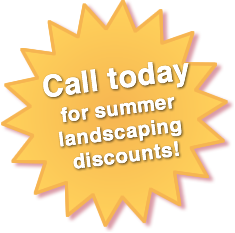 Call Sonoran Gardens today to schedule a fall spruce up at (520) 579-9411. Sonoran Gardens Landscape Design & Construction is a complete landscape design, landscape construction, custom care landscape maintenance, potted plants and potted gardens, irrigation and lighting repair firm serving Tucson, Oro Valley, Catalina Foothills, SaddleBrooke, Tanque Verde, Marana, Vail, Sahuarita, Green Valley, and Southern Arizona. Since 1998, our talented landscape designers have created hundreds of custom landscapes as individual as our clients. We work closely with our customers to design an outdoor living space that exceeds their expectations and meets their budget requirements. Simply check our Google reviews and testimonials.